I recently purchased Color Efex Pro 4 as well as HDR Efex Pro from Nik Software, and I took two online classes last Saturday to explore the bells and whistles of these editing tools. I edited the bridge in HDR and tweaked it slightly in Lightroom to add some finishing touches. I certainly have a lot left to learn, but it’s fun to start to see how these filters can help you see your images in a whole new way. This bridge looks so inviting! 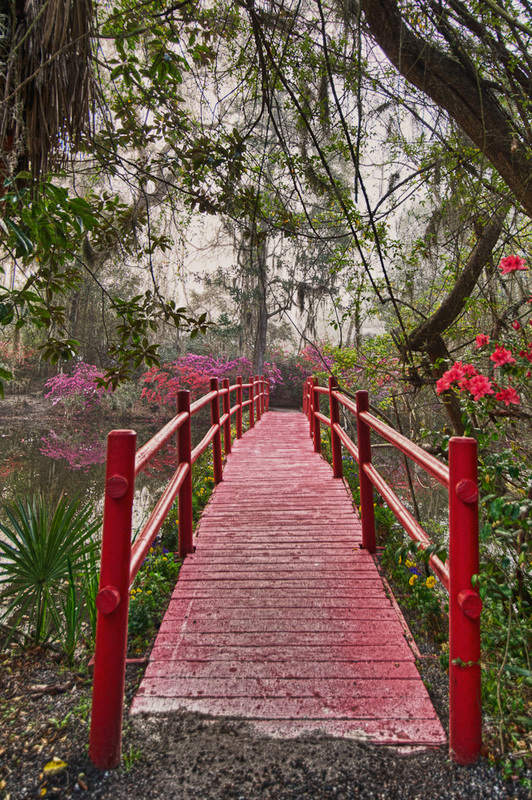 I love the bridge….red color….perfect:) The image draws you in…. Neat image Tricia…it makes me want to walk across it. Good composition. Oooooooooh, I wanna go there.